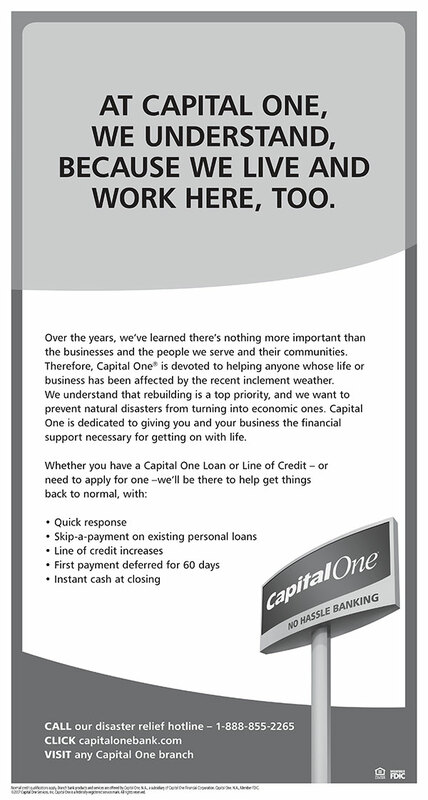 Assignment: I was engaged to design a disaster recovery ad for the bank. I was given the direction to design a straightforward, easy-to-read and informative one-color newspaper ad. Having experienced the effects of hurricanes along the Gulf Coast, I understand the impact that a hurricane can have on your life and how someone affected by a disaster looks at advertising. My choice was to stick to the corporate template, and just be up-front about what the bank could do to make the lives of those affected easier. I include this ad in my portfolio as it shows a level of understanding of the customer mindset that many of us don't expect to design to.